Customizable foundation may be new to you, but if you like the idea of being able to wear your foundation sheer on some days, and full coverage on other days, then NYX Total Control Drop Foundation is one to explore. 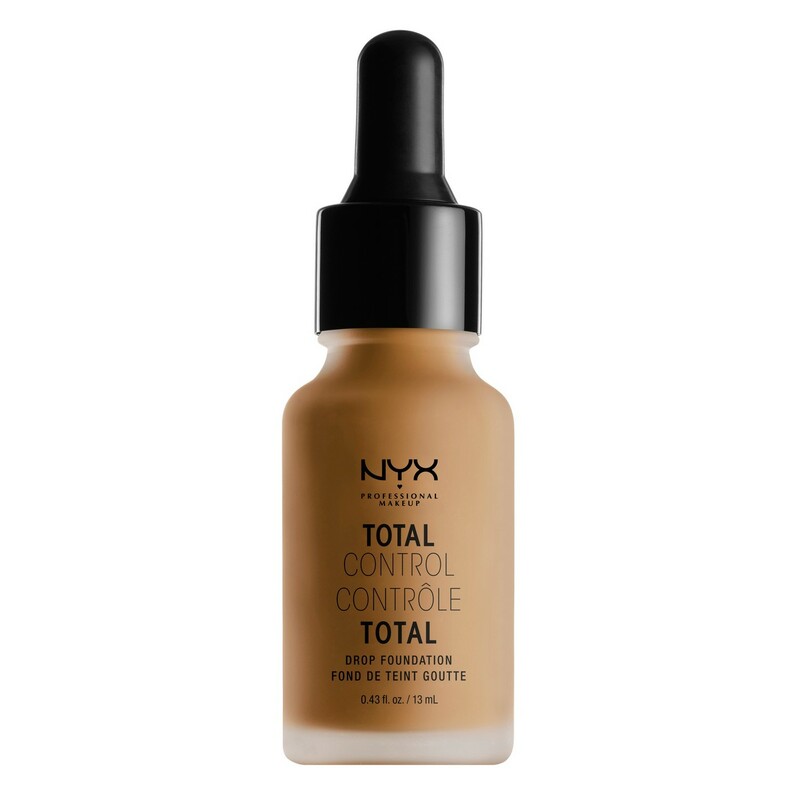 NYX Total Control Drop Foundation is one of NYX's most popular products, and has gained a cult following (they've recently added on a NYX Total Control Primer to the line as well). 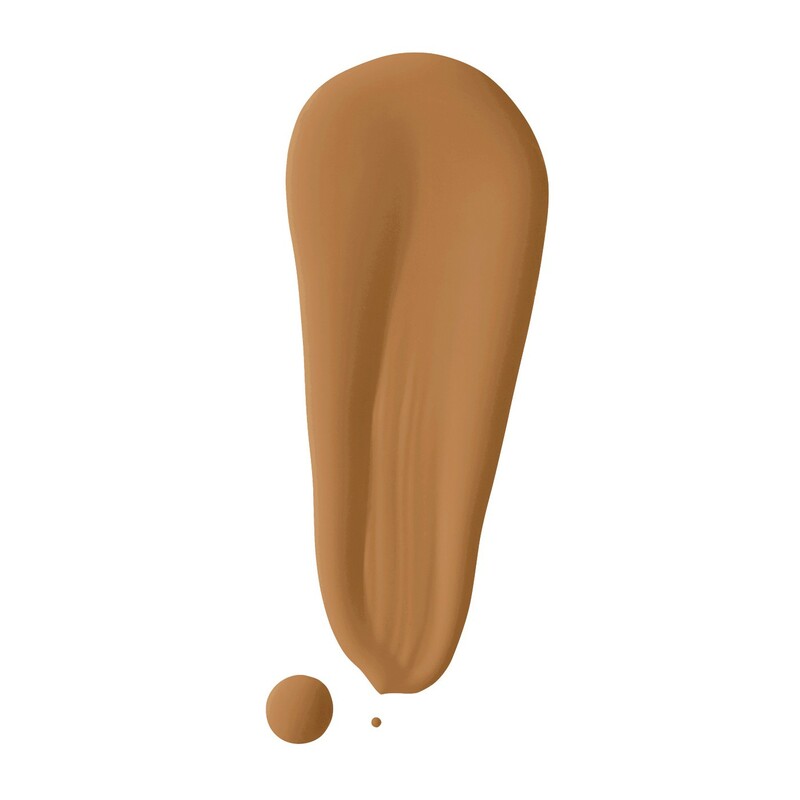 The foundation line has 30 shades covering a wide range of skin tones and undertones. My Shade, Mahogany (shown, above), is part of the Deep/Tan Shades range. NYX Total Control Drop Foundation comes in a glass dropper bottle which allowed me to add anywhere from two drops (sheer) to 4-5 drops (full velvet matte finish). NYX Total Control Drop Foundation was very silky and lightweight, no matter how many drops I added. With my combination skin, it made my more oily areas look just as smooth and matte as my drier ones. I applied the NYX Total Control Drop Foundation to the back of my hand and used either the NYX Professional Makeup Pro Brush, or a beautyblender. When I used 4-5 drops I had such complete coverage, I only had to lightly touch up my under eye area and small discolorations with a bit of concealer. When the NYX Total Control Drop Foundation fully set it had a smooth, powdery consistency, but felt like I had no makeup on at all.